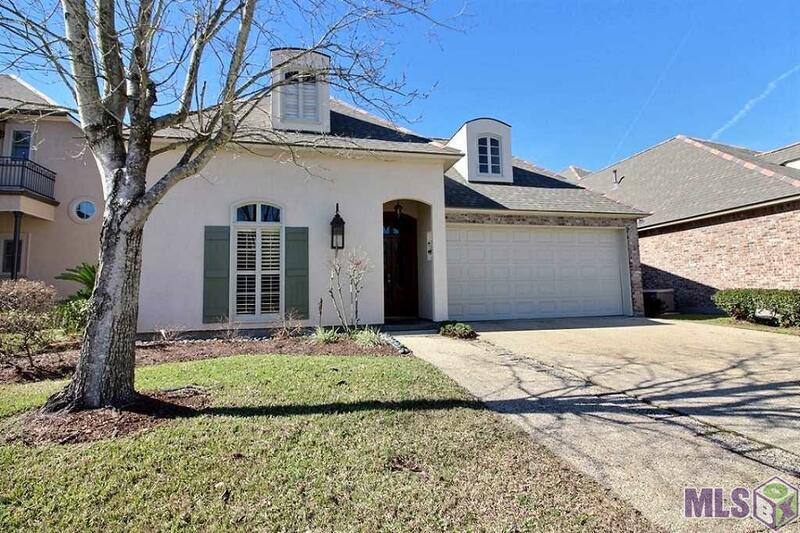 Quietly tucked away subdivision off Inniswold Rd in South baton Rouge is a quiet, gated community named Parlange. Enter the coded gate and follow the road around to the right and on the left you will find this beautiful, well maintained French style home ready for the new owners. The home features a professionally landscaped yard with mature trees & shrubs. Enter the grand front door into the foyer and you will find the formal dining area on the left with a fantastic custom window with a view of the front yard and quiet street. Next is the kitchen which is open to the great room and dining area. The kitchen features custom cabinets, stainless appliances, huge island for seating & storage. Off the north end of the house are stairs leading to the bonus room which will make an excellent study or 4th bedroom. The awesome master suite has its own private master bath with custom mirror, jetted tub, his & her closets, dual vanity and water closet. The other 2 bedrooms are in the back of the property and are generous as well. The back yard can be accessed from the kitchen or back hallway and features a covered patio area and privacy wood fencing. This is a one of a kind opportunity and the owner is ready to hand over the keys! Schedule your private showing today!